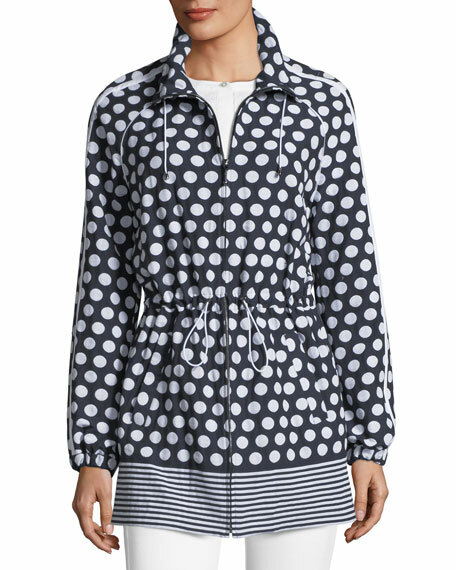 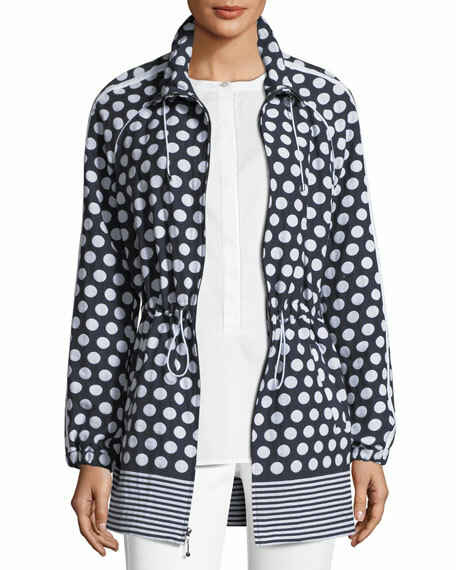 St. John Collection dot-print anorak jacket. 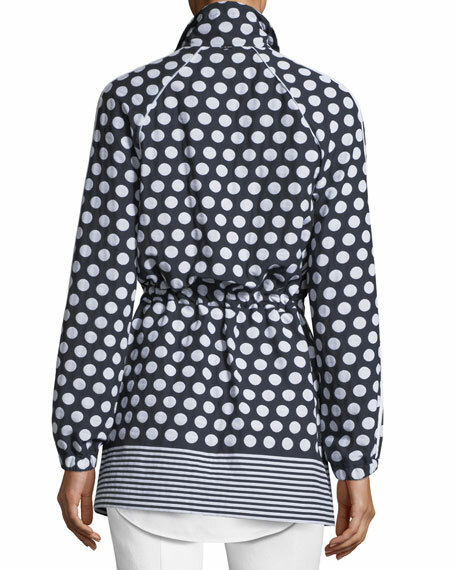 Spread collar with draw cord. 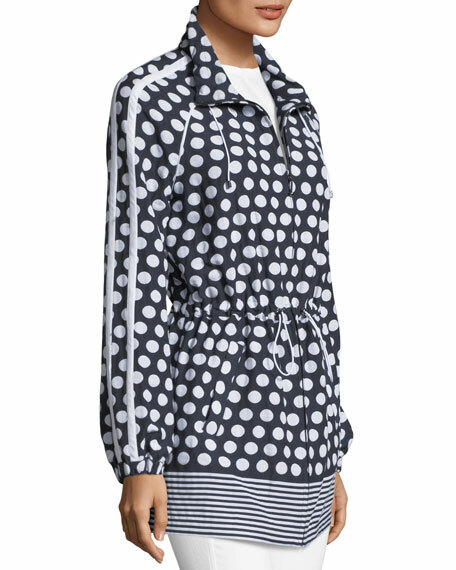 For in-store inquiries, use sku #2409361.